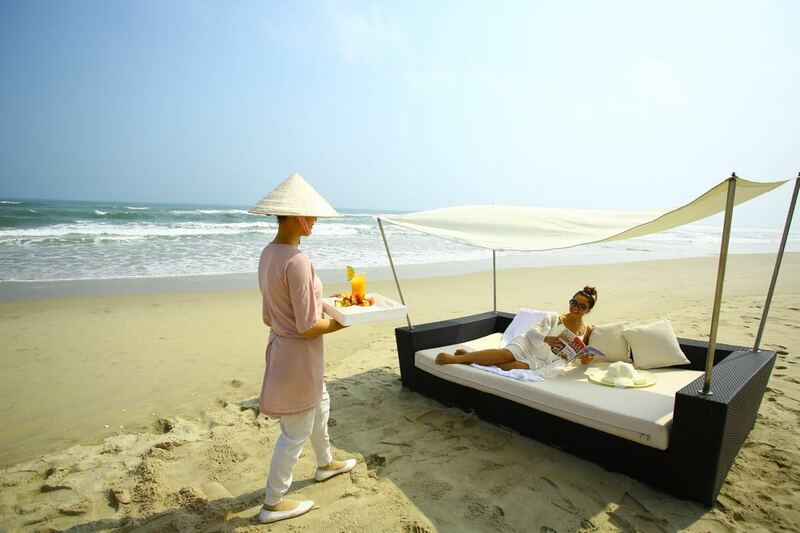 Fusion Maia Resort Da Nang is a beachfront boutique hotel in Central Vietnam, just a 10 minute drive from Da Nang Airport. This hotel is brilliant because it offers all-inclusive spa treatments so there is no excuse not to be deeply pampered. Beyond the spa you can play golf at the Danang Golf Club or Montgomerie Links, just two of many championship courses nearby. Shop in the nearby Unesco World Heritage town of Hoi An (using the 3x daily complimentary hotel mini bus) for hand-made clothing and silk lanterns. For history buffs, visit the historic site of My Son, an ancient Hindu temple, 70 kilometres from Da Nang. But there is no shame in simply lazing your days away in your superb pool villa with your twice-daily all-inclusive spa treatments and spending your evenings sipping tropical cocktails in the stunning ocean-view lounge. 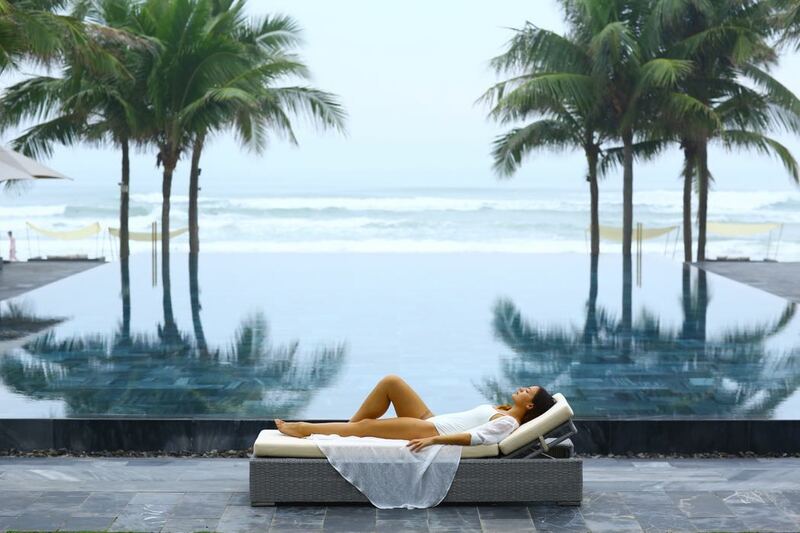 Relaxation is why you come to Fusion Maia Resort Da Nang after all. 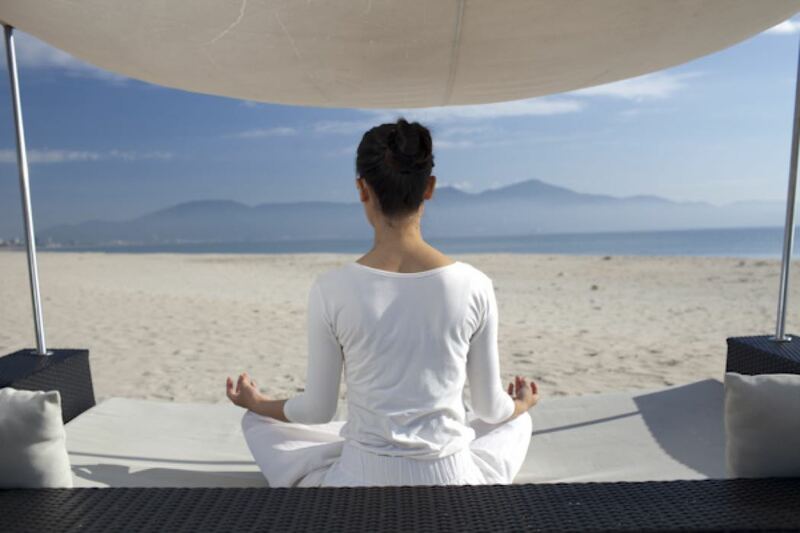 Fusion Maia Resort is serene with peaceful public areas. 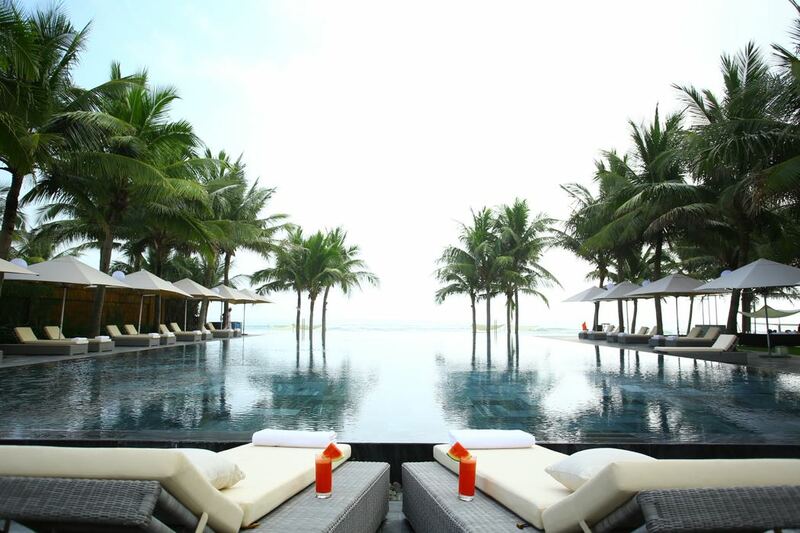 Daytime lounging at the resort infinity pool is a must. The double cabanas on the lawns around the pool are the perfect place to drift off. Cool down with alternating dips in the pool and the ocean. Both seem to merge with the South China Sea beyond. 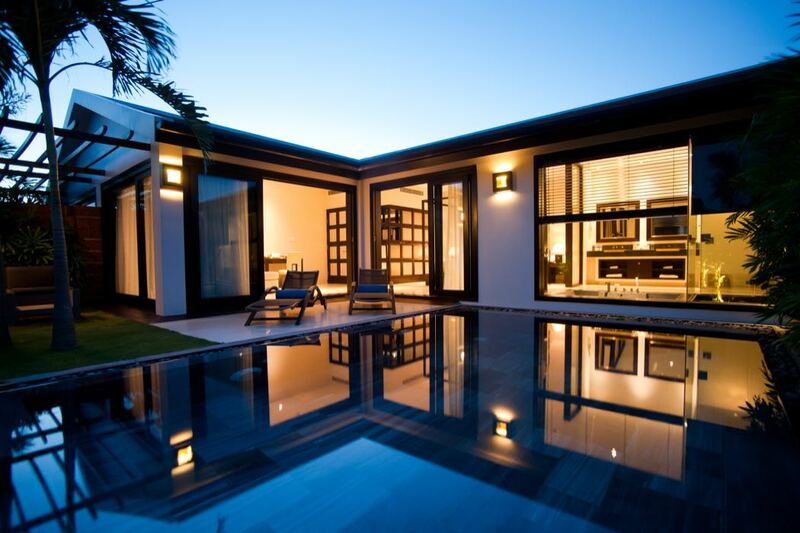 All of the 87 pool villas boast their own private pool and courtyard garden. The villas are modern with an open-plan design and include a living room, bedroom and bathroom opening onto an enclosed private courtyard and pool. Delux Beachfront villas (also with their own private pool) have 2 bedrooms and open up onto the soft sand with ocean views from both the pool and the villa. 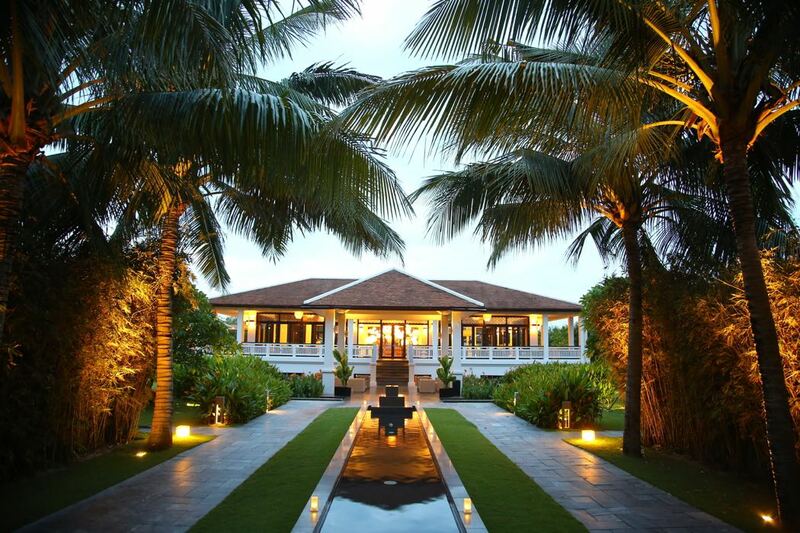 Inside, the decor in the villas is a stylish mix of white walls, dark wood furniture and bamboo detailing. All villas can also sleep up to two children for an extra fee. What could be better? Spa treatments without any tinge of guilt from the expense of each treatment. 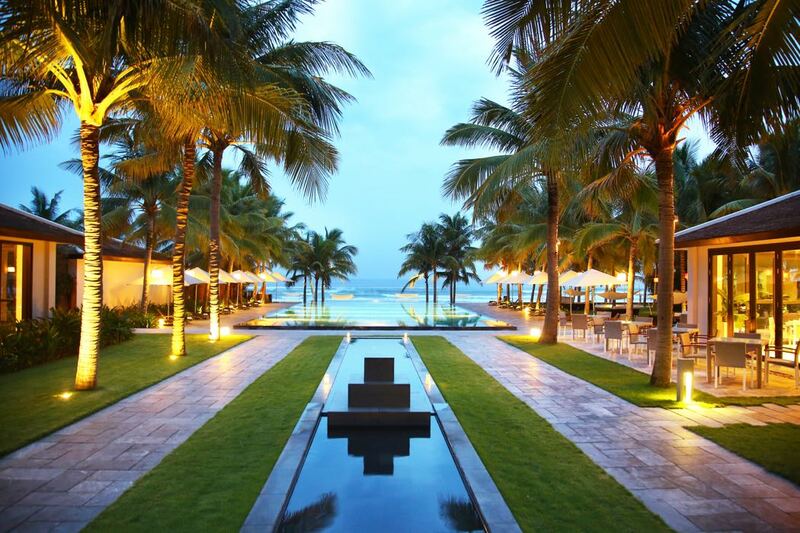 Set within tropical gardens, Fusion Maia’s day spa is the largest in Central Vietnam. With 22 treatment rooms and 2 beauty salons, you can choose from manicures and massages to all-out pampering sessions, including a seven-day holistic program, all included in your price. 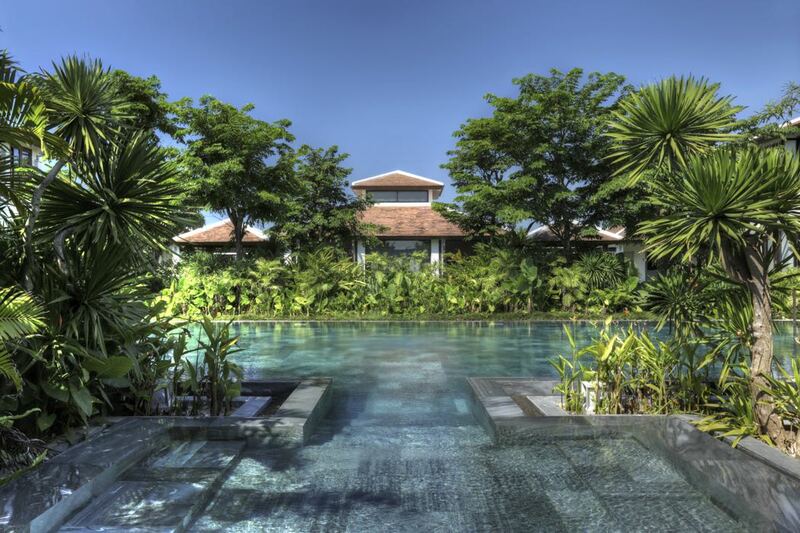 Afterward your treatments, dip in the spacious adults-only pool complete with waterfall. Five Restaurant serves Vietnamese fusion dishes in a contemporary setting or on the sea-view terrace. 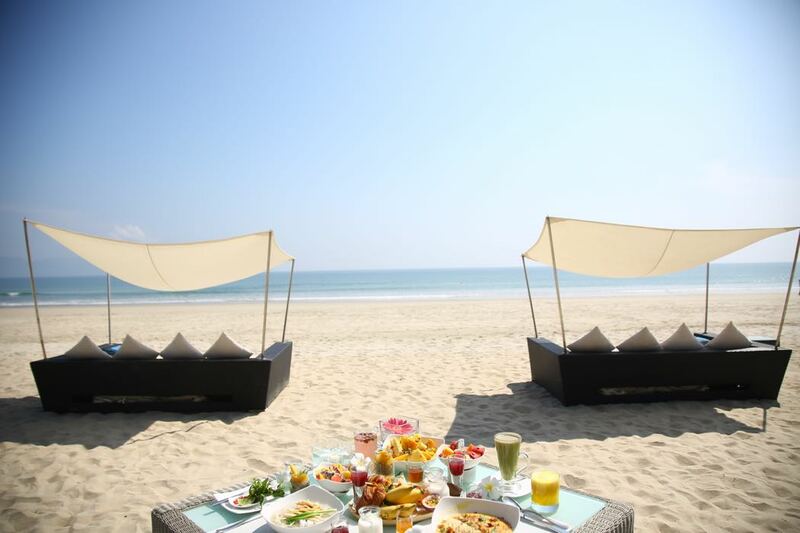 You can even ask for your romantic meal to be served on the beach. During the day, you can order salads, seafood and pizzas by the pool. When the evening comes, the Tonic bar is a great place to enjoy tunes, sip a tea-infused cocktails and munch on plates of tapas. 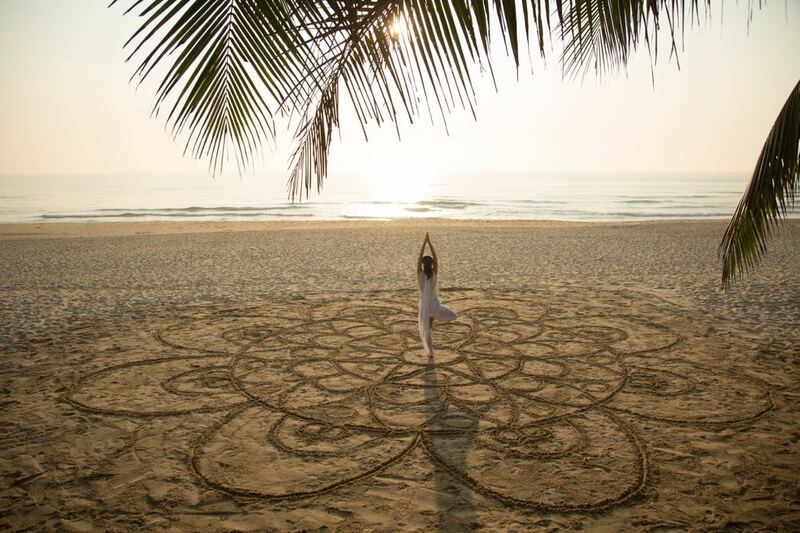 Expect a genuinely warm welcome at the beachside Fusion Maia Resort. 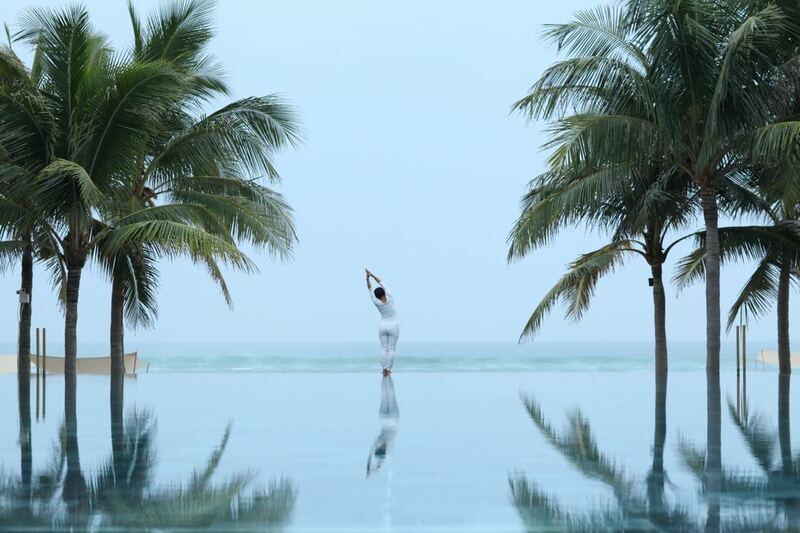 Dig out your floaty linen trousers, and your prettiest flowery dresses along with your flip flops rather than your Louboutins – this is a truly kick black, relax-and-be-pummeled resort. The fact that all this joy takes place on the shores of an idyllic tropical beach makes it nearly perfect!